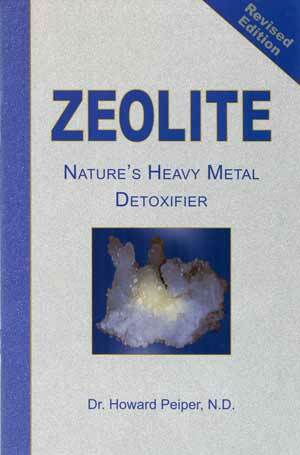 By Howard Peiper, ND This booklet tells the story of zeolite and explains its health benefits, which include working on heavy metals and free radicals. Includes some of the research that’s been done on zeolite. (SC 43 pages) To buy zeolite, click here.